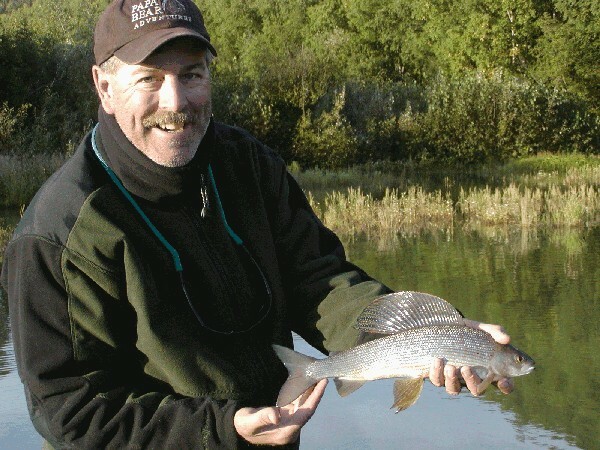 I have been an avid fly fisherman, commercial fly Tier and fly tying instructor for over 35 years. The Internet has allowed me to realize a dream of opening up my own Fly Shop, Phil's Custom Flies. I've tied and shipped flies all over the United States and as far away as Great Britain and Denmark. All of my Flies feature the finest materials and are professionally tied by me, to my exacting standards. My flies are tied to fish properly on every cast, and are constructed to last. They won't fall apart on your first fish, or second, or sixth! I specialize in custom and trip orders tied to your specifications. If you have a trip coming up soon to that special destination, let me know what insects you're likely to run into on the stream and I can recommend some very effective flies that cover the whole spectrum of the current hatches, from nymphs and dry flies, to specialized patterns such as cripples, spinners, terrestrials, and others. Or click onto Phil's Custom Flies Catalog and brouse through my selection. Thanks for visiting Phil's Custom Flies.